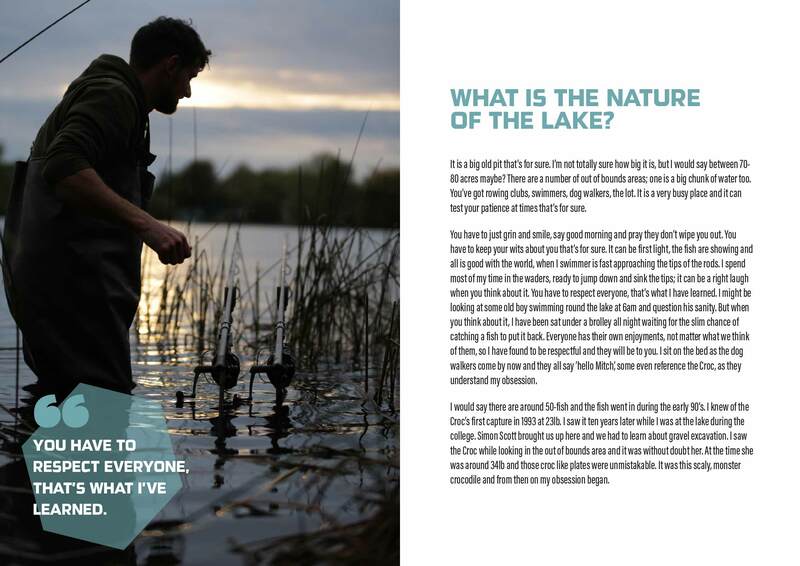 What is the nature of the lake? It is a big old pit that’s for sure. I’m not totally sure how big it is, but I would say between 70-80 acres maybe? There are a number of out of bounds areas; one is a big chunk of water too. You’ve got rowing clubs, swimmers, dog walkers, the lot. It is a very busy place and it can test your patience at times that’s for sure. You have to just grin and smile, say good morning and pray they don’t wipe you out. You have to keep your wits about you that’s for sure. It can be first light, the fish are showing and all is good with the world, when I swimmer is fast approaching the tips of the rods. I spend most of my time in the waders, ready to jump down and sink the tips; it can be a right laugh when you think about it. You have to respect everyone, that’s what I have learned. I might be looking at some old boy swimming round the lake at 6am and question his sanity. But when you think about it, I have been sat under a brolley all night waiting for the slim chance of catching a fish to put it back. Everyone has their own enjoyments, not matter what we think of them, so I have found to be respectful and they will be to you. I sit on the bed as the dog walkers come by now and they all say ‘hello Mitch’, some even reference the Croc, as they understand my obsession. I would say there are around 50-fish and the fish went in during the early 90’s. I knew of the Croc’s first capture in 1993 at 23lb. I saw it ten years later while I was at the lake during the college. Simon Scott brought us up here and we had to learn about gravel excavation. I saw the Croc while looking in the out of bounds area and it was without doubt her. 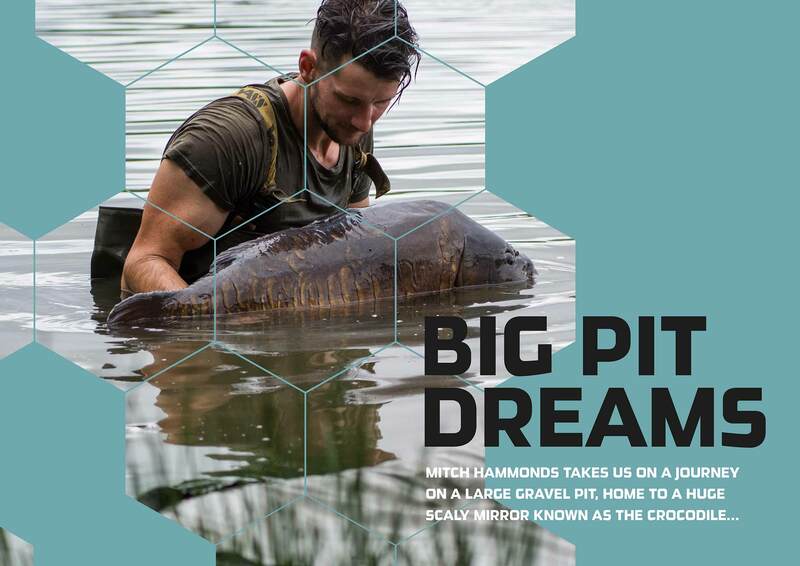 At the time she was around 34lb and those croc like plates were unmistakable. It was this scaly, monster crocodile and from then on my obsession began. 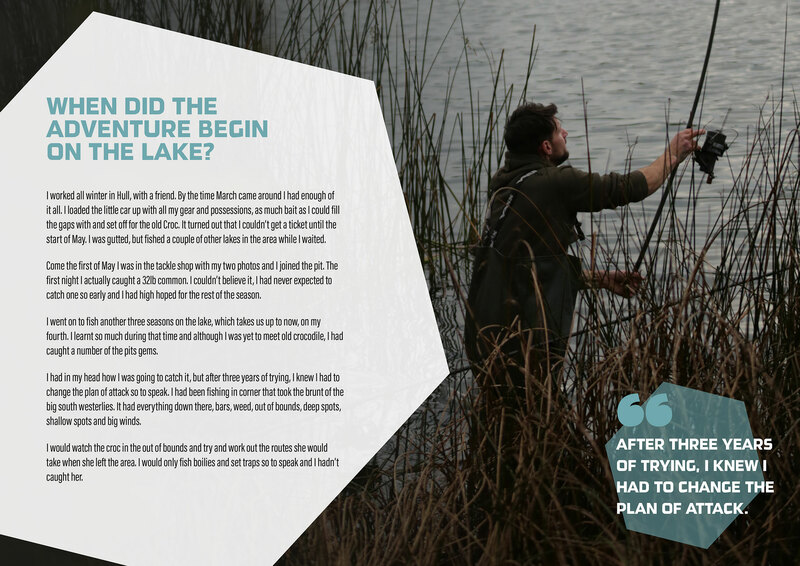 When did the adventure begin on the lake? I worked all winter in Hull, with a friend. By the time March came around I had enough of it all. I loaded the little car up with all my gear and possessions, as much bait as I could fill the gaps with and set off for the old Croc. It turned out that I couldn’t get a ticket until the start of May. I was gutted, but fished a couple of other lakes in the area while I waited. Come the first of May I was in the tackle shop with my two photos and I joined the pit. The first night I actually caught a 32lb common. I couldn’t believe it, I had never expected to catch one so early and I had high hoped for the rest of the season. 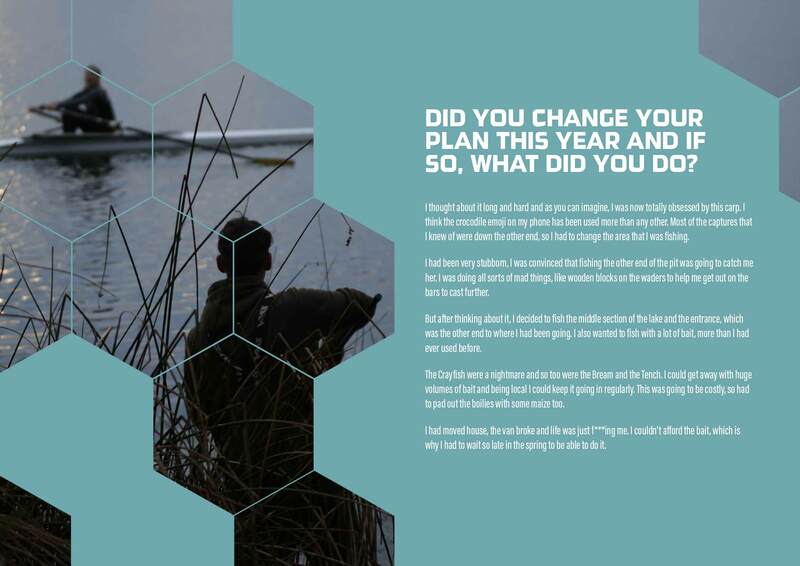 I went on to fish another three seasons on the lake, which takes us up to now, on my fourth. I learnt so much during that time and although I was yet to meet old crocodile, I had caught a number of the pits gems. I had in my head how I was going to catch it, but after three years of trying, I knew I had to change the plan of attack so to speak. I had been fishing in corner that took the brunt of the big south westerlies. It had everything down there, bars, weed, out of bounds, deep spots, shallow spots and big winds. I would watch the croc in the out of bounds and try and work out the routes she would take when she left the area. I would only fish boilies and set traps so to speak and I hadn’t caught her. Did you change your plan this year and if so, what did you do? 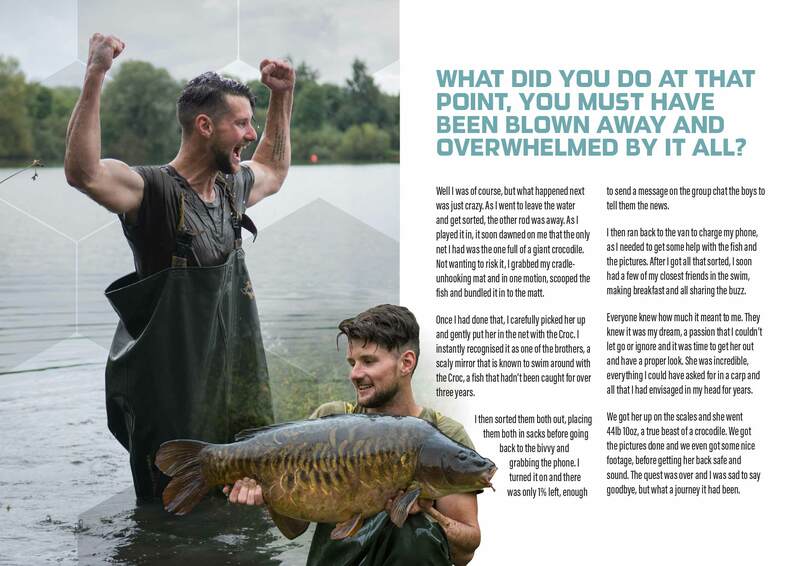 I thought about it long and hard and as you can imagine, I was now totally obsessed by this carp. I think the crocodile emoji on my phone has been used more than any other. Most of the captures that I knew of were down the other end, so I had to change the area that I was fishing. I had been very stubborn, I was convinced that fishing the other end of the pit was going to catch me her. I was doing all sorts of mad things, like wooden blocks on the waders to help me get out on the bars to cast further. But after thinking about it, I decided to fish the middle section of the lake and the entrance, which was the other end to where I had been going. I also wanted to fish with a lot of bait, more than I had ever used before. The Crayfish were a nightmare and so too were the Bream and the Tench. 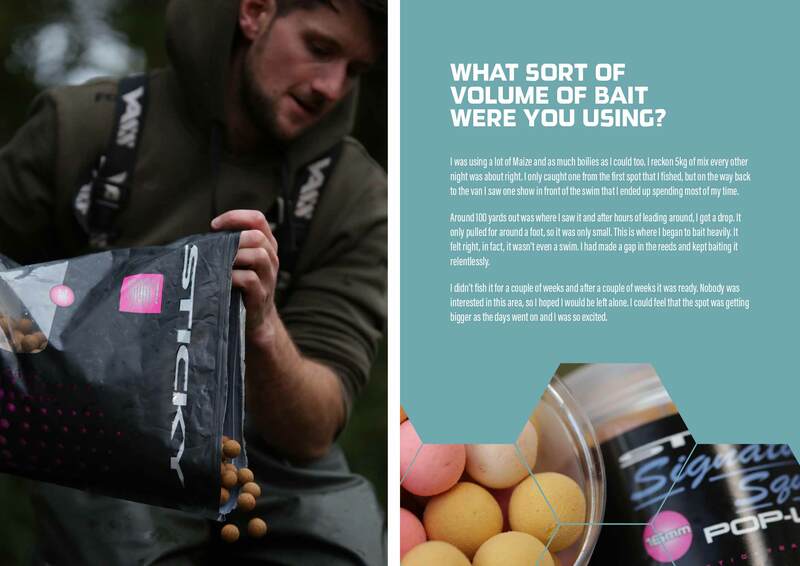 I could get away with huge volumes of bait and being local I could keep it going in regularly. This was going to be costly, so had to pad out the boilies with some maize too. I had moved house, the van broke and life was just f***ing me. I couldn’t afford the bait, which is why I had to wait so late in the spring to be able to do it. 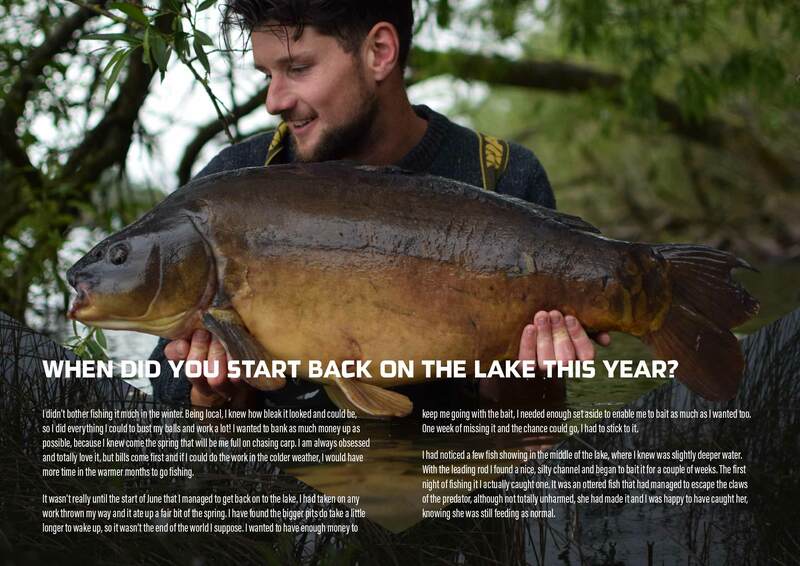 When did you start back on the lake this year? I didn’t bother fishing it much in the winter. Being local, I knew how bleak it looked and could be, so I did everything I could to bust my balls and work a lot! 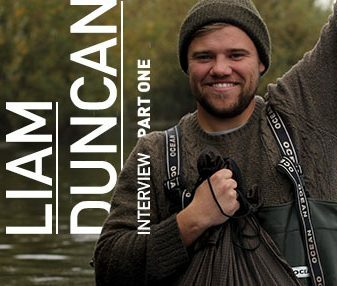 I wanted to bank as much money up as possible, because I knew come the spring that will be me full on chasing carp. I am always obsessed and totally love it, but bills come first and if I could do the work in the colder weather, I would have more time in the warmer months to go fishing. It wasn’t really until the start of June that I managed to get back on to the lake. 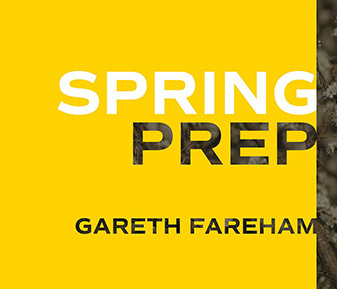 I had taken on any work thrown my way and it ate up a fair bit of the spring. I have found the bigger pits do take a little longer to wake up, so it wasn’t the end of the world I suppose. I wanted to have enough money to keep me going with the bait, I needed enough set aside to enable me to bait as much as I wanted too. One week of missing it and the chance could go, I had to stick to it. I had noticed a few fish showing in the middle of the lake, where I knew was slightly deeper water. With the leading rod I found a nice, silty channel and began to bait it for a couple of weeks. The first night of fishing it I actually caught one. 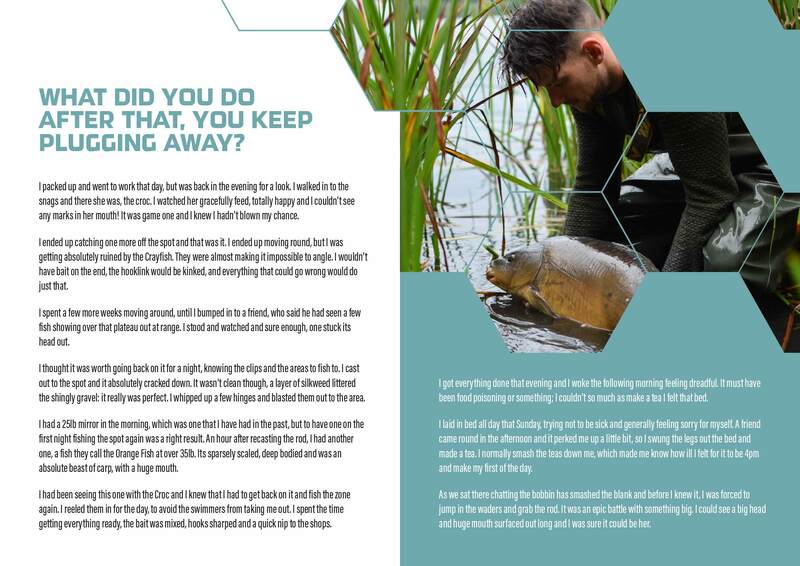 It was an ottered fish that had managed to escape the claws of the predator, although not totally unharmed, she had made it and I was happy to have caught her, knowing she was still feeding as normal. What sort of volume of bait were you using? 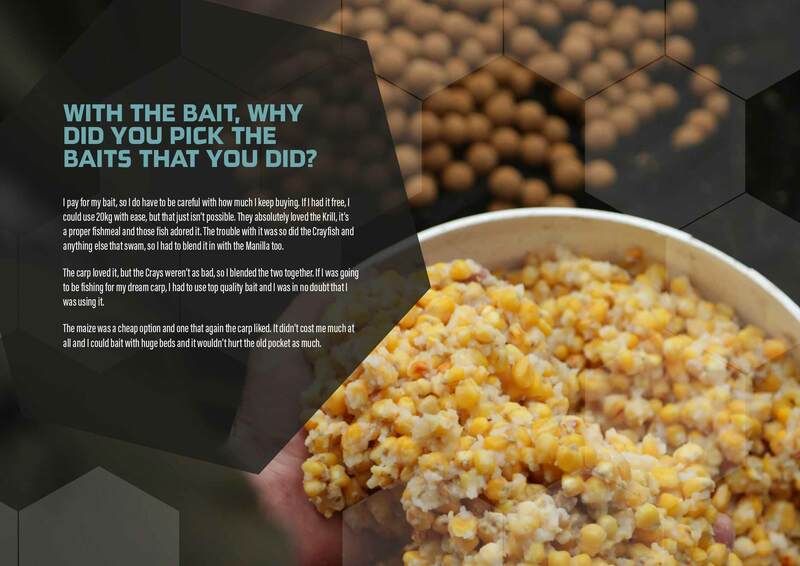 I was using a lot of Maize and as much boilies as I could too. I reckon 5kg of mix every other night was about right. I only caught one from the first spot that I fished, but on the way back to the van I saw one show in front of the swim that I ended up spending most of my time. Around 100 yards out was where I saw it and after hours of leading around, I got a drop. It only pulled for around a foot, so it was only small. This is where I began to bait heavily. It felt right, in fact, it wasn’t even a swim. I had made a gap in the reeds and kept baiting it relentlessly. I didn’t fish it for a couple of weeks and after a couple of weeks it was ready. Nobody was interested in this area, so I hoped I would be left alone. I could feel that the spot was getting bigger as the days went on and I was so excited. What was the plan of attack when you started fishing this spot? I had seen fish showing over it and the weather was perfect. I got down for the first night and one stuck its head out before I cast the first rod out. I had three hinges with the Signature Squids wrapped up in shrink-wrap. I gave them another hit of bait and sat back for the weekend, proper buzzed up for it. The first rod went at 2am in the morning with a 25lb mirror. The fish were proper showing and I had to pack up early that morning for work, but left the bivvy there for when I got back. I was buzzing all day and work and rushed back that evening. I got everything back out to the spot and I had another one the following morning, this time a 28lb mirror. I was packed up early again and off to work, but managed to convince the Mrs to let me go back for another night. I caught another carp too, this time a smaller one, but three fish in as many nights and I was beyond buzzing. I went to work that Saturday, thinking how much I needed to capitalise on this. I rang the Mrs and gave her the rundown, which is one that I have given her far too many times that I should have, and somehow I managed to pull another night. I ended up catching a mirror known as lumpy, but for the 7thtime. I didn’t weigh or picture her, I just un hooked and slipped her back. I spent the Saturday night at home and was back out on the lake Sunday evening. I baited the spot with 10kg of maize and 10kg of Krill, ready for the Monday night. I caught a couple more fish, both repeats. By now, everything in the lake was eating off this spot. 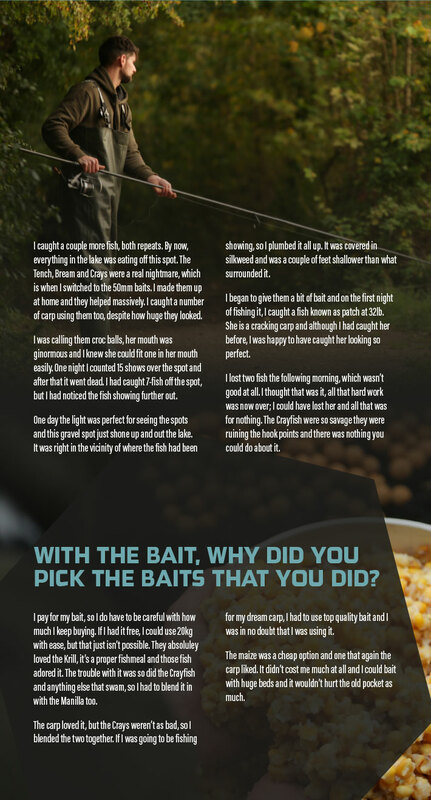 The Tench, Bream and Crays were a real nightmare, which is when I switched to the 50mm baits. I made them up at home and they helped massively. I caught a number of carp using them too, despite how huge they looked. I was calling them croc balls, her mouth was ginormous and I knew she could fit one in her mouth easily. One night I counted 15 shows over the spot and after that it went dead. I had caught 7-fish off the spot, but I had noticed the fish showing further out. One day the light was perfect for seeing the spots and this gravel spot just shone up and out the lake. It was right in the vicinity of where the fish had been showing, so I plumbed it all up. It was covered in silkweed and was a couple of feet shallower than what surrounded it. I began to give them a bit of bait and on the first night of fishing it, I caught a fish known as patch at 32lb. She is a cracking carp and although I had caught her before, I was happy to have caught her looking so perfect. I lost two fish the following morning, which wasn’t good at all. I thought that was it, all that hard work was now over; I could have lost her and all that was for nothing. The Crayfish were so savage they were ruining the hook points and there was nothing you could do about it. With the bait, why did you pick the baits that you did? I pay for my bait, so I do have to be careful with how much I keep buying. If I had it free, I could use 20kg with ease, but that just isn’t possible. They absolutely loved the Krill, it’s a proper fishmeal and those fish adored it. The trouble with it was so did the Crayfish and anything else that swam, so I had to blend it in with the Manilla too. The carp loved it, but the Crays weren’t as bad, so I blended the two together. 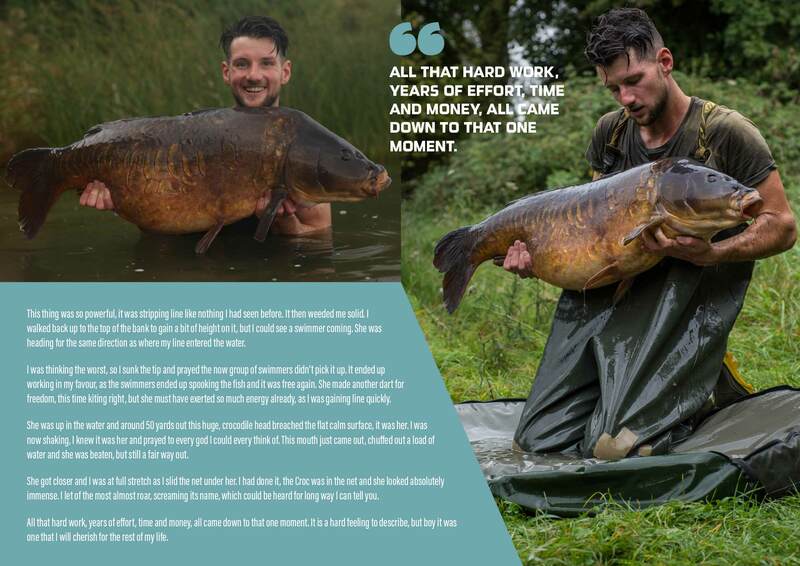 If I was going to be fishing for my dream carp, I had to use top quality bait and I was in no doubt that I was using it. The maize was a cheap option and one that again the carp liked. It didn’t cost me much at all and I could bait with huge beds and it wouldn’t hurt the old pocket as much. What did you do after that, did you keep plugging away? I packed up and went to work that day, but was back in the evening for a look. I walked in to the snags and there she was, the croc. I watched her gracefully feed, totally happy and I couldn’t see any marks in her mouth! It was game one and I knew I hadn’t blown my chance. I ended up catching one more off the spot and that was it. I ended up moving round, but I was getting absolutely ruined by the Crayfish. They were almost making it impossible to angle. I wouldn’t have bait on the end, the hooklink would be kinked, and everything that could go wrong would do just that. I spent a few more weeks moving around, until I bumped in to a friend, who said he had seen a few fish showing over that plateau out at range. I stood and watched and sure enough, one stuck its head out. I thought it was worth going back on it for a night, knowing the clips and the areas to fish to. I cast out to the spot and it absolutely cracked down. It wasn’t clean though, a layer of silkweed littered the shingly gravel: it really was perfect. I whipped up a few hinges and blasted them out to the area. I had a 25lb mirror in the morning, which was one that I have had in the past, but to have one on the first night fishing the spot again was a right result. An hour after recasting the rod, I had another one, a fish they call the Orange Fish at over 35lb. 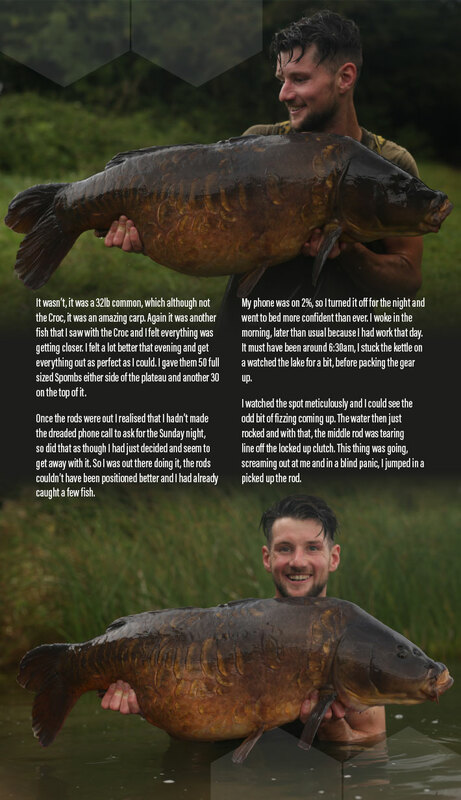 Its sparsely scaled, deep bodied and was an absolute beast of carp, with a huge mouth. I had been seeing this one with the Croc and I knew that I had to get back on it and fish the zone again. I reeled them in for the day, to avoid the swimmers from taking me out. 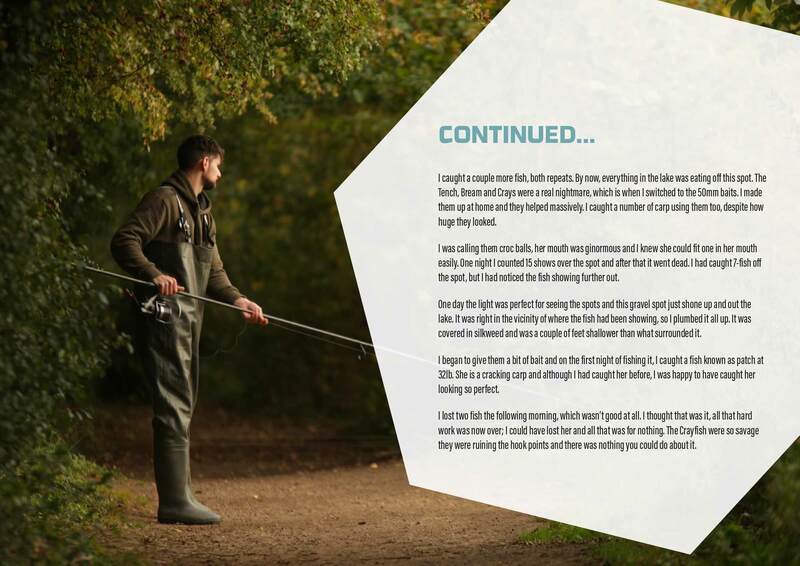 I spent the time getting everything ready, the bait was mixed, hooks sharped and a quick nip to the shops. I got everything done that evening and I woke the following morning feeling dreadful. It must have been food poisoning or something; I couldn’t so much as make a tea I felt that bed. I laid in bed all day that Sunday, trying not to be sick and generally feeling sorry for myself. A friend came round in the afternoon and it perked me up a little bit, so I swung the legs out the bed and made a tea. I normally smash the teas down me, which made me know how ill I felt for it to be 4pm and make my first of the day. 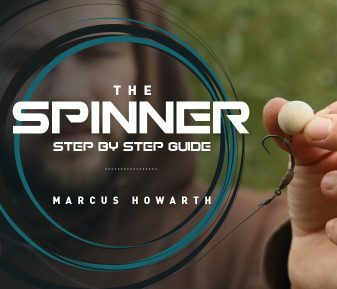 As we sat there chatting the bobbin has smashed the blank and before I knew it, I was forced to jump in the waders and grab the rod. It was an epic battle with something big. I could see a big head and huge mouth surfaced out long and I was sure it could be her. It wasn’t, it was a 32lb common, which although not the Croc, it was an amazing carp. Again it was another fish that I saw with the Croc and I felt everything was getting closer. I felt a lot better that evening and get everything out as perfect as I could. I gave them 50 full sized Spombs either side of the plateau and another 30 on the top of it. 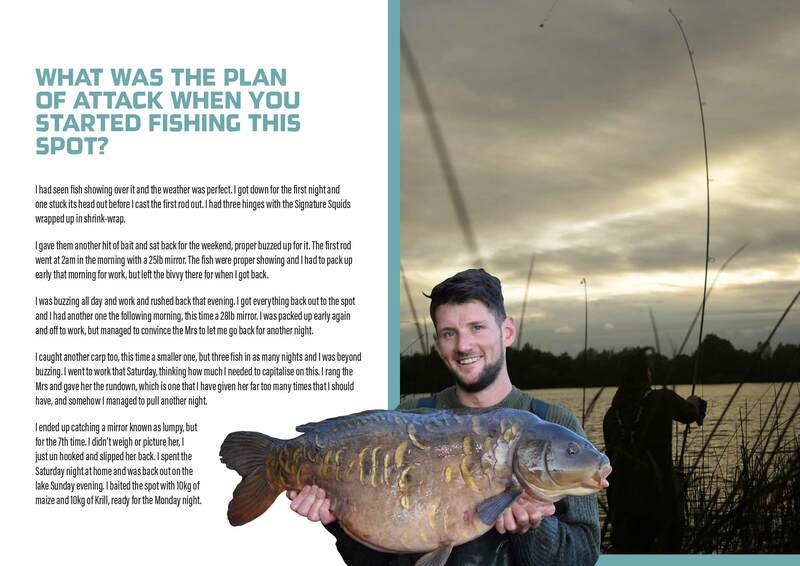 Once the rods were out I realised that I hadn’t made the dreaded phone call to ask for the Sunday night, so did that as though I had just decided and seem to get away with it. So I was out there doing it, the rods couldn’t have been positioned better and I had already caught a few fish. My phone was on 2%, so I turned it off for the night and went to bed more confident than ever. I woke in the morning, later than usual because I had work that day. It must have been around 6:30am, I stuck the kettle on a watched the lake for a bit, before packing the gear up. I watched the spot meticulously and I could see the odd bit of fizzing coming up. The water then just rocked and with that, the middle rod was tearing line off the locked up clutch. This thing was going, screaming out at me and in a blind panic, I jumped in a picked up the rod. This thing was so powerful, it was stripping line like nothing I had seen before. It then weeded me solid. I walked back up to the top of the bank to gain a bit of height on it, but I could see a swimmer coming. She was heading for the same direction as where my line entered the water. I was thinking the worst, so I sunk the tip and prayed the now group of swimmers didn’t pick it up. It ended up working in my favour, as the swimmers ended up spooking the fish and it was free again. She made another dart for freedom, this time kiting right, but she must have exerted so much energy already, as I was gaining line quickly. She was up in the water and around 50 yards out this huge, crocodile head breached the flat calm surface, it was her. I was now shaking, I knew it was her and prayed to every god I could every think of. This mouth just came out, chuffed out a load of water and she was beaten, but still a fair way out. She got closer and I was at full stretch as I slid the net under her. I had done it, the Croc was in the net and she looked absolutely immense. I let of the most almost roar, screaming its name, which could be heard for long way I can tell you. All that hard work, years of effort, time and money, all came down to that one moment. It is a hard feeling to describe, but boy it was one that I will cherish for the rest of my life. What did you do at that point, you must have been blown away and overwhelmed by it all? Well I was of course, but what happened next was just crazy. As I went to leave the water and get sorted, the other rod was away. As I played it in, it soon dawned on me that the only net I had was the one full of a giant crocodile. Not wanting to risk it, I grabbed my cradle-unhooking mat and in one motion, scooped the fish and bundled it in to the matt. Once I had done that, I carefully picked her up and gently put her in the net with the Croc. 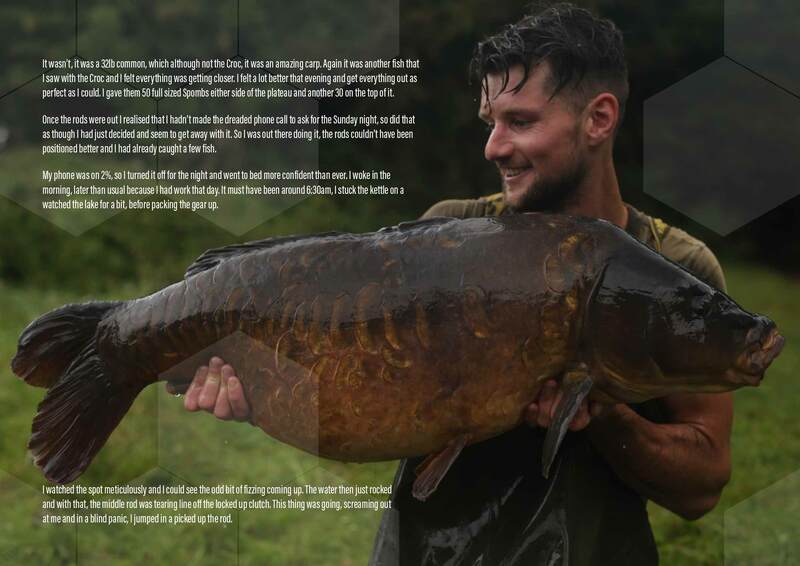 I instantly recognised it as one of the brothers, a scaly mirror that is known to swim around with the Croc, a fish that hadn’t been caught for over three years. 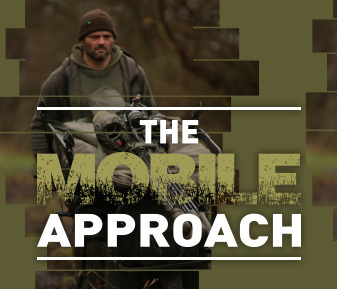 I then sorted them both out, placing them both in sacks before going back to the bivvy and grabbing the phone. I turned it on and there was only 1% left, enough to send a message on the group chat the boys to tell them the news. I then ran back to the van to charge my phone, as I needed to get some help with the fish and the pictures. After I got all that sorted, I soon had a few of my closest friends in the swim, making breakfast and all sharing the buzz. Everyone knew how much it meant to me. They knew it was my dream, a passion that I couldn’t let go or ignore and it was time to get her out and have a proper look. 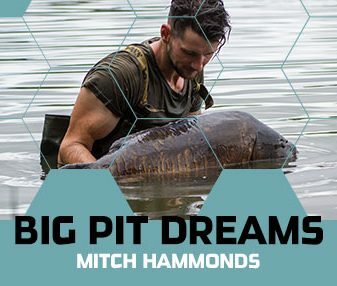 She was incredible, everything I could have asked for in a carp and all that I had envisaged in my head for years. We got her up on the scales and she went 44lb 10oz, a true beast of a crocodile. We got the pictures done and we even got some nice footage, before getting her back safe and sound. The quest was over and I was sad to say goodbye, but what a journey it had been. MITCH – I want to say thanks to everyone around me, starting with my mum, nan and Vic. Matt, John, Steve, Neil, Jay, Dave, Luke, Myles, Darren, little Karl, Mark, Tom, Alex and Dan. You all helped along the way and was great to share the moment with so many of you.